Montreal’s Rodeo FX created quite a menagerie for Fantastic Beasts and Where to Find Them. Given the complex nature of the work, they needed clear and concise feedback from VFX Supervisors Tim Burke and Christian Manz – and relied on cineSync for those reviews. 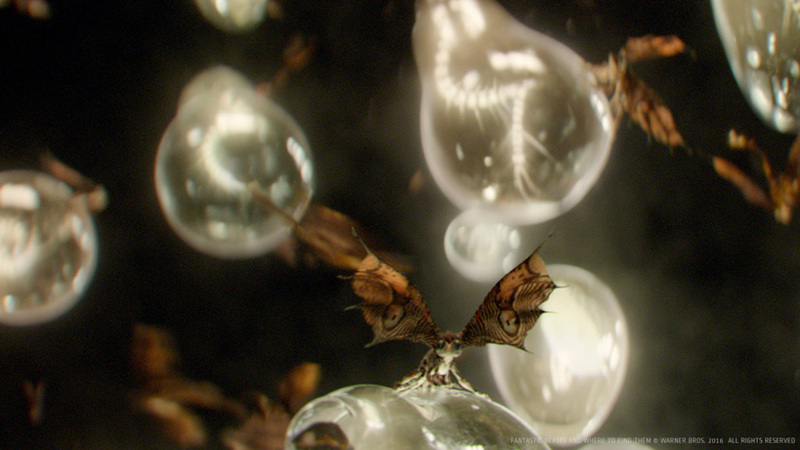 Arnaud Brisebois, VFX Supervisor at Rodeo FX, recently sat down for a chat with Art of VFX about the Fantastic Beasts they created for the latest entry in the Harry Potter universe. What are the sequences made by Rodeo FX? We worked on some exterior Broadway shots (NYC street views), built the whole Woolworth building exterior and interior, created the MACUSA interior. We built the Jacob’s tenement alley remending as well as the interior room reconstructing. Creature-wise, we created the Murtlap that attacks Jacob when the case finally breaks open and then all of our other creatures were done specifically for “Newt’s Suitcase”, meaning; Doxies, Butterflies, Gloworms, Grindelows, Nundu, Diricawl family and Mooncalves. We also built all of these creatures’ individual environments, which were just as well designed as the creatures and as fun to create. How was your collaboration with Overall VFX Supervisors Tim Burke and Christian Manz? Rodeo had worked with Tim on TARZAN and he must certainly have given his thumbs up to Warner to consider us for FANTASTIC BEASTS. But we were involved with Tim on only one sequence (Central Park) where we did some more hippopotamus work for him. Things went very smoothly as it was only a handful of shot. Christian Manz was my main interface during production. Christian is very knowledgeable, intelligent and well-spoken and communicates ideas in a clear, straightforward way. It was a new relationship, but trust was established early on and communication between us went well. Two sometimes three times a week, we’d set up for a cineSync and we would go through turnovers or submitted WIP versions. I would walk Christian through my intentions on how to address notes or details on asset dev progress and he would chip in, re-orient things where needed. It was clear, simple and he trusted me enough to give me creative license on many aspects. A great person to work for. Christian was great in the sense that he did not micromanage methodology. He would turnover shots or assets, thoroughly describe the work, define creative expectations, but he would not get involved on how we would approach work. He would be trusting us fully in figuring out the very best, most effective way to do things. He often showed great appreciation of our initiatives, from both technical and creative standpoints. The rest of the interview is available at Art of VFX and includes some great breakdowns and descriptions of the work involved.